It has been announced that a project that will start the second retaining wall restoration of the West Skyline Parkway at the Oneota Overlook will be starting soon. Changes are coming to the current set up for Highway 194/Mesaba Avenue starting on Monday, July 9th. Farley's Family Restaurant has announced that they will be closing their doors before the end of the summer. It has been announced that Sound, the downtown Duluth restaurant, will be closing and re-opening in a month with a focus on hosting events. From checking out someone in a kilt to catching eye contact with someone as you drive by, welcome to Duluth's finest 'Missed Connections' from June. Starting this upcoming week, the City of Duluth will begin the process of storm water drain maintenance and restoration. With the 45th overall pick in the 2018 NHL Entry Draft, the St. Louis Blues selected UMD Bulldog and Hibbing native Scott Perunovich. After getting rejected by a marriage proposal, a Minnesota woman sped off in a Hummer with a man hanging on to the roof-rack. Monday morning it was announced that the PGA TOUR is coming to Minnesota starting in 2019. According to Minnesota Power, the strong thunderstorms coming through the Twin Ports is causing power outages for thousands of people. It seems as if the Raccoon that scaled up a skyscraper in St. Paul this past week has caught the eye of one of the biggest movie stars on the planet. 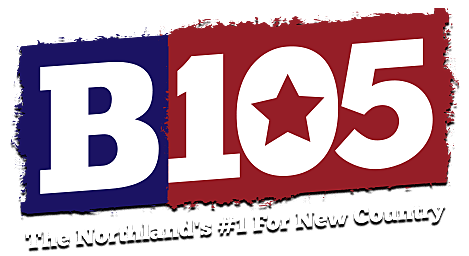 Townsquare Media is proud to present the 2018 Grandma's Marathon, and we're excited to offer all of the action on the broadcast flagship of Grandma's Marathon, Sasquatch 106.5.